Distilling complex product and location data into insightful interfaces for one of the largest supermarket chains in Europe. We’ve been lucky enough to work on a number of design and development projects with Lidl. Our bespoke, interactive map visualised complex location data from internal APIs and housed it in a sleek user interface for use by Lidl’s corporate team. 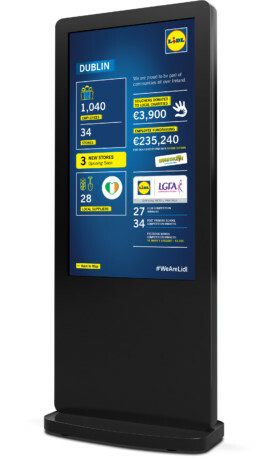 We’re also proud of our development of a dynamic web app that pulls live data and images from Lidl’s product database and is designed to help Lidl staff recall complex product codes. Helping to improve customer experience for the largest privately-owned logistics company in Ireland.